The Vietnam Victory Challenge is a relatively new 3 stage mountain bike race in the cool highlands of Dalat. Stage 1 was a gentle shock to my system, having not ridden on the trails since Morocco almost a year ago. Perhaps it's the 1,500 m elevation (excuse!) or the cold dry air ... 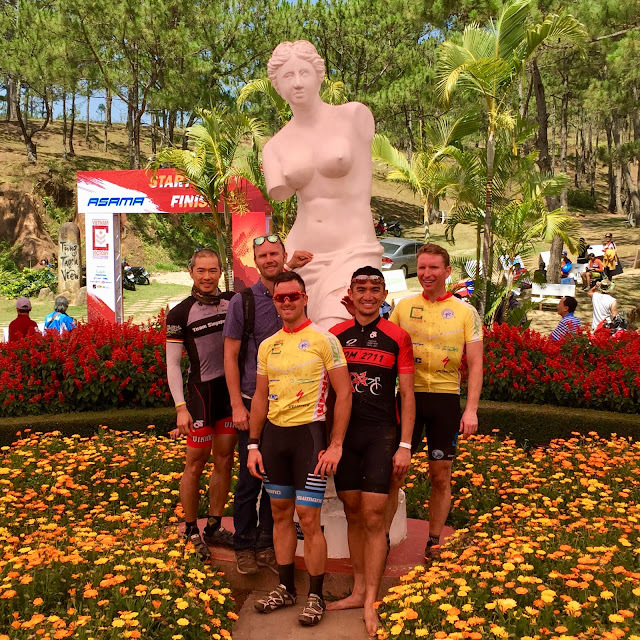 I started with heavy legs and laboured breaths on the incessant climbs. The scenery is beautiful as expected, with some very fast double and single tracks that are harsh on my Stumpjumper hardtail. The finish couldn't come soon enough, I was ecstatic to hear the cheering crowd and cross the finish line after 47 km and 1,100 m climb. A particularly steep and muddy climb, look at that grimace! 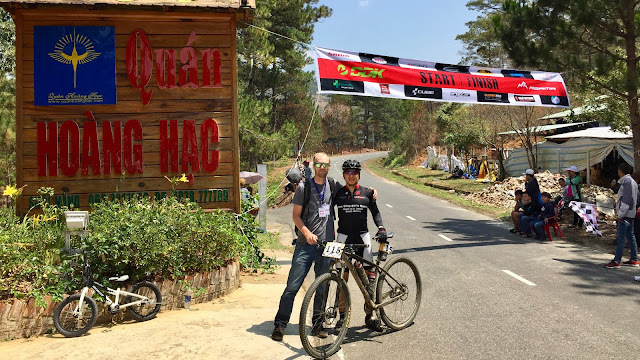 Stage 2 was held at the Lang Biang Roundabout loop which ended at the Valley of Love, apparently one of the most romantic sites in Dalat with "deep valleys and endless pine forests". 48 km and 1,300 m climb - another lovely race day, fast and furious! 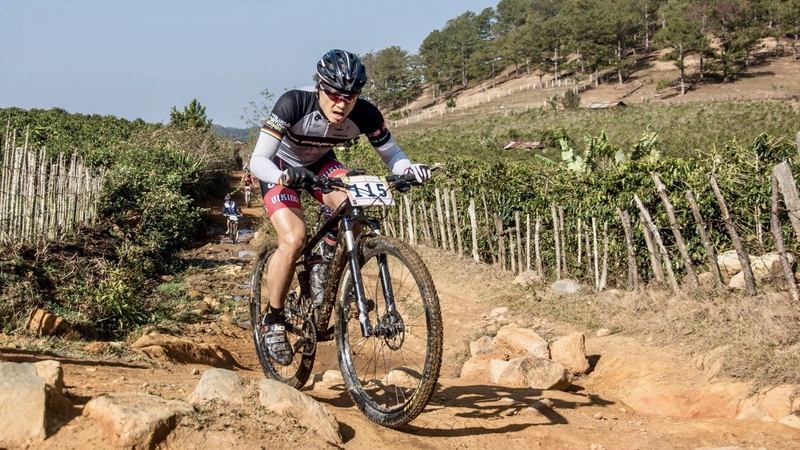 Stage 3 was 3 loops around the Valley of Love, each loop being 11 km and 420 m elevation gain. I did 4 loops for fun, and to redeem myself for all the eating. 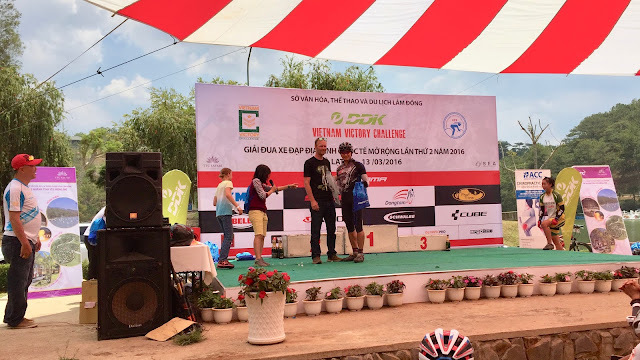 I managed to finish overall 4th place in the Men 40-49 category to end a superbly organised race. Lovely people, trails and weather. Thank you Bob Lofgran and crew for an outstanding event! No, I didn't get a place on the podium, but I did win a lucky draw.